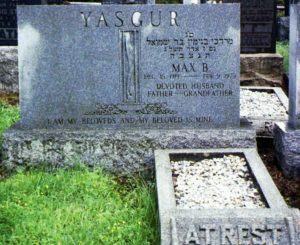 Born in Brooklyn, Max Yasgur eventually found his way to Sullivan County, NY where he became the most successful dairy farmer in that county. 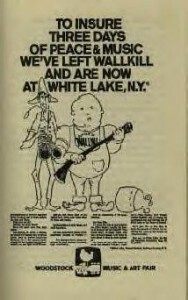 1969 was another turbulent year of that turbulent decade and Woodstock Ventures hoped that their festival would provide a place in the country where young people could peacefully enjoy their music and sleep under the stars. We know the story. After the town of Wallkill realized what Woodstock Ventures was doing and “who” was going to attend, it put one legal roadblock after another in the concert’s way. Wallkill finally succeeded and Max was the man who came to the rescue. Woodstock Ventures announces that they will have the Festival in White Lake. Advert was done by Arnold Skolnick, the artist who did the famous poster. He showed Michael Lang a big grassy bowl at the intersection of Hurd and West Shore Roads. 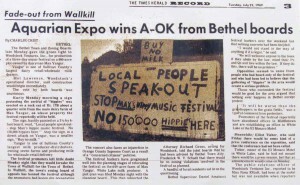 Like Wallkill, many Bethel locals were against the idea and threatened Yasgur telling others to boycott his milk. 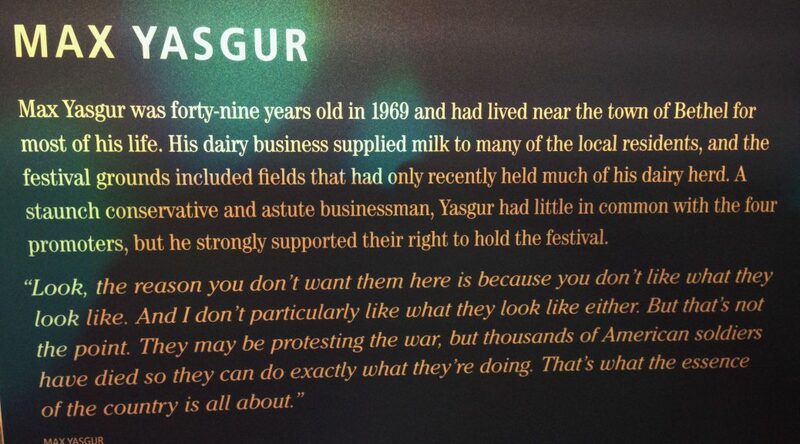 Max Yasgur stood his ground and basically told locals where they could put their protest. On the last day of the concert, the New York Times published an article about Max: Until a few days ago Max Yasgur was just another dairy farmer in Sullivan County. Now he gets phone calls threatening to burn him out. And even more calls praising him and asking how the callers can help. Happy Birthday, Cousin Max. You are missed. You have left your mark on history. Thanks for you comment. I’ve been posting to this blog since October and had a steady flow of visitors, but nothing like today. Max is really special to a lot of people. Thank you for this and thanks to Max! …and thank you for visiting the site. Hope you return. Thanks to you Max, and Michael of course, we discovered that we can live in peace and harmony. We learned that the world can be a better place than Vietnam and Nixon. We can have love for one another. I carry that feeling with me everywhere and when confronted with tragedies and hate like Aleppo and Trump and Putin, all I do is close my eyes and relive your wonderful speech on the great stage of Woodstock music and arts festival. Thank you for such positive works. Much needed. I don’t need any thanks, but you are more than welcome! Please note the passing of Max’s wife Miriam in 2014 and son Sam in 2016. I never liked hippies! Until I met one!